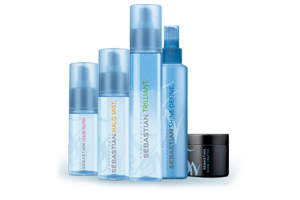 Our stylists, who have tried and tested a wealth of hair care products, absolutely love working with the Sebastian collection, so we’re certain that you will too. 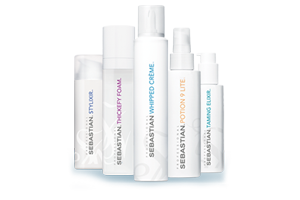 Renowned for innovation, the Sebastian range produces long-lasting style, shape and texture that you can rely on, suitable for all hair types. Ultra-light, high gloss aerosol spray. For light but luminous mirror-shine. Thermal protection and sparkle complex. Multifaceted complex with rock crystal extract, designed to gently condition hair and provide heat protection. Creates ultra-light body and sparkling flashes of shine. UV filter, weightless shine spray. See the light when it comes to shine. A pure, weightless polishing spray with UV protection for a heavenly, luminous shine. Defrizz polishing drops. Drops de-frizz and polish hair for a glossy shine-boosting finish, while making static instantly invisible. 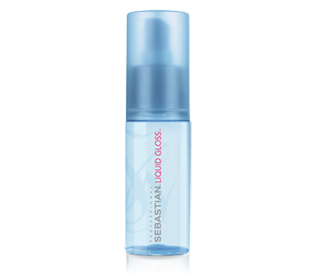 Shine and flexible hold spray. 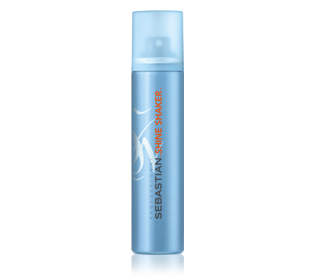 Flexible hold spray and contouring thermal shield, with rock crystal extract, protects hair from heat. Conditions with a natural, brushable sheen and irresistible definition. Moldable shine wax. A malleable, moldable wax with rock crystal extract, for flexible definition that shimmers with shine.